Virginia man says it was a mistake to go to Mosul, Iraq with a woman. A young American man accused of fighting for ISIS said it was a "bad decision" to go to Iraq and that he was trying to get home when he was captured by Kurdish forces earlier this week. Speaking to the Kurdish news outlet K24, the man identified by Kurdish officials as 26-year-old Mohamad Jamal Khweis of Virginia, said he ended up in Mosul, a large ISIS-controlled city in Iraq, after meeting a woman. “At the time I made the decision, I was not thinking straight. On the way there I regretted, and I wanted to go back home after things didn’t work out and saw myself living in such an environment," he said. Khweis said conditions in Mosul are "very difficult." "I stayed there about a month, and I found it very, very hard to live there. I decided to return back home,” he said. According to Khweis, he regretted "going off with Daesh," an alternate term for ISIS, and was trying to make contact with Kurdish forces when he was captured Monday. Later, Khweis went to Turkey and there he met an Iraqi girl. He stayed there for some time, he said. “We spent some time together, and she said that she is from Mosul, Iraq. I don’t know the exact places we passed by, but we arrived in Mosul on January 16," he said. At the end of the interview, Khweis addressed the American people directly and said, "Life in Mosul is really, very bad. The people who control Mosul don't represent a religion." A video posted on social media Monday appeared to show the young man’s surrender. In it, he tells Kurdish military officials he is American. Earlier this week Kurdish officials said the 26-year-old had been among a small group of ISIS fighters with whom they exchanged fire a day before the surrender. U.S. government officials for the most part declined to comment on the development Monday, beyond acknowledging media reports. Late Monday a U.S. counter-terrorism official told ABC News the young man had not been on the radar of American security or intelligence agencies. U.S. officials have said they suspect some 250 Americans have traveled to, or have attempted to travel to Iraq or Syria to join extremists groups. Reached by telephone Monday, a woman who identified herself as the mother of Mohamad Jamal Khweis told ABC News she had seen the news reports but later declined to watch the video. She said she had last seen her son a couple months ago and said she was shocked by the idea he was in Iraq. With television cameras outside the Virginia home Monday, two men, apparently Khweis’ father and younger brother, arrived and the older man struck some of the cameras. Both yelled at the media present, the younger man shouting, “You’re wrong, you’re wrong.” At one point the father sprayed the cameramen with a water hose shortly before police arrived. Court records for Mohammad Jamal Khweiss show several minor traffic offenses as well as a public drunkenness charge in 2009. That charge was later downgraded to a version of trespassing and dismissed on appeal. 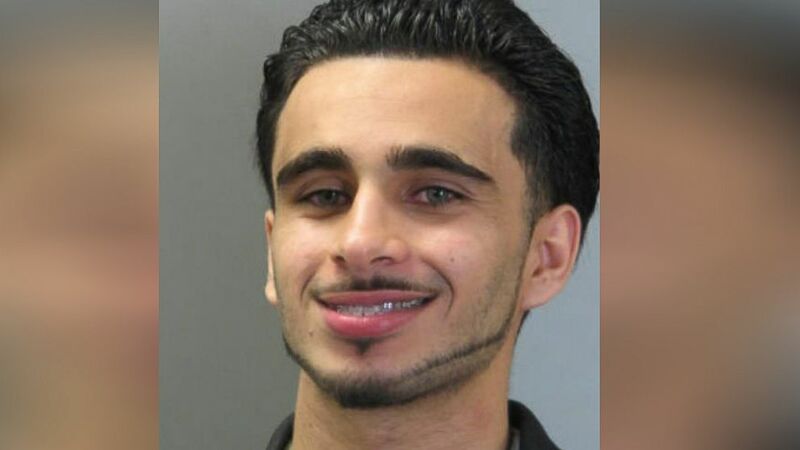 (Fairfax County Police Department) Mohamad Jamal Khweis smiles in a mugshot taken in 2009 in Fairfax County, Virginia. ABC News' Rhonda Schwartz, Michael Birnkrant and Lee Ferran contributed to this report.